Light and compact, the Trip Jacket for the Kindle 4 And Touch is designed with both style and practicality in mind. The durable canvas construction protects the device when traveling while providing a contemporary feel. 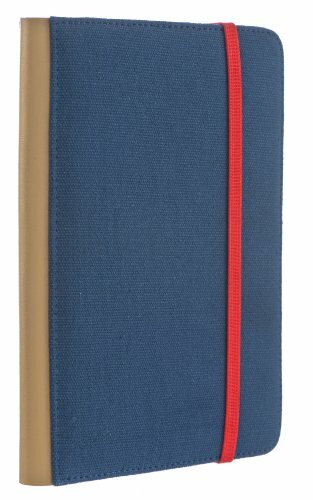 The sturdy elastic closure strap keeps the front cover closed while the Kindle is not in use. The jacket can be used in three different standing angles for comfortable use whether you're typing up a report or reading a magazine. If you have any questions about this product by M-Edge Accessories, contact us by completing and submitting the form below. If you are looking for a specif part number, please include it with your message.